The low-power mode would turn off features like chromatic aberration correction, dim the display or cap the framerate at 60fps, all of which might squeeze out an extra 15 minutes or so of usage. That doesn’t seem like much, but it could be long enough to finish that movie or game. He also said that the next-generation Go would likely get a larger battery, an improved chipset, more storage and maybe even six degree-of-freedom controllers if they can get it cheap enough. “We did not have a clear strategy around the Go launch,” said Carmack, adding that the company didn’t really know Go’s target demographic. Eventually, though, the company figured out that Go’s audience is essentially the same as Gear VR’s, except with a better sales pitch. “The Gear VR has shipped an incredible number of units, and it’s by far the most successful VR headset,” said Carmack. 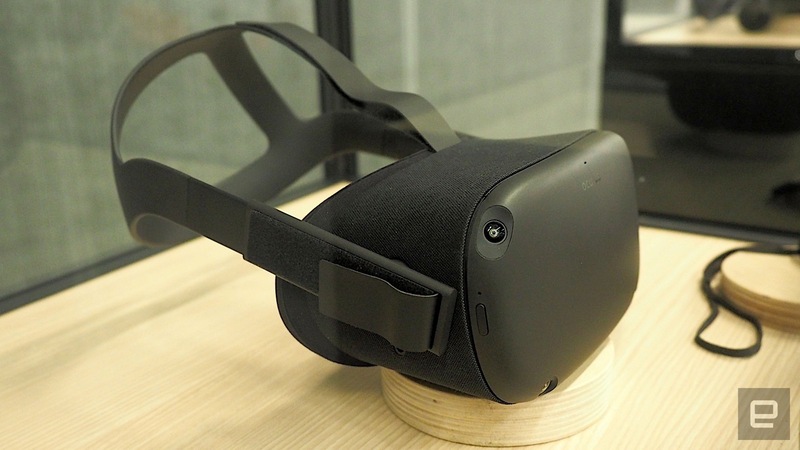 “But it hasn’t been a very sticky product.” Clearly displeased with some of the problems with Gear VR, Carmack talked about how people worried about draining their phone battery, as well as blurry optics where chromatic aberrations occurred. In the end, the Go ended up selling really well. “The Go is retaining as much as the Rift,” he said. While the Gear VR was a device that people used only occasionally, the Go and Rift are used on a much more regular basis. With the Go, you can just hop in and out of VR without having to worry about going without your phone. 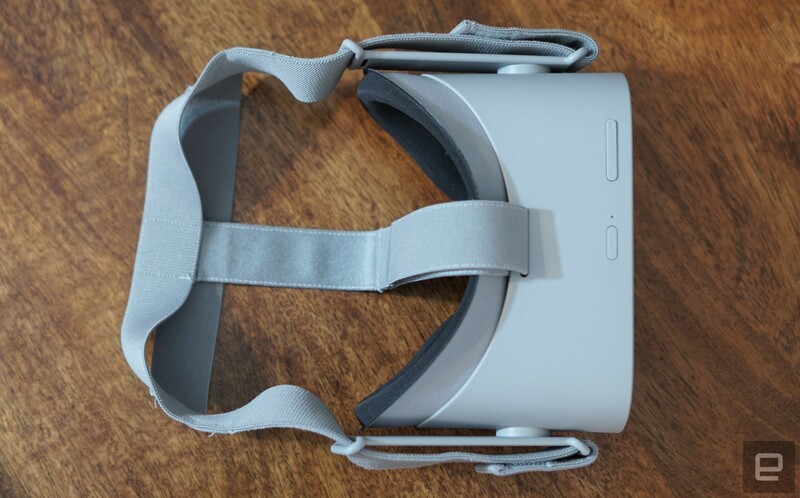 He says that a few features of the Go were even taken from Google’s Daydream, such as recentering, cursor trails, and the ability to see your finger on the touch pad. Still, there are issues with the Go that Carmack isn’t entirely happy with. He doesn’t much like the split back strap, which was originally designed to suit different hairstyles, because it ends up unloading the top strap weight. The facial interface doesn’t quite fit his nose, and the proximity sensor has problems. He also wasn’t a fan of the light leakage of the Go because it removes from the feeling of immersion. Yet, he found that most people liked the ability to peek down at their hands, so it’s a compromise that he’s willing to live with. At the same time, he does want the next-generation Go to be more comfortable. 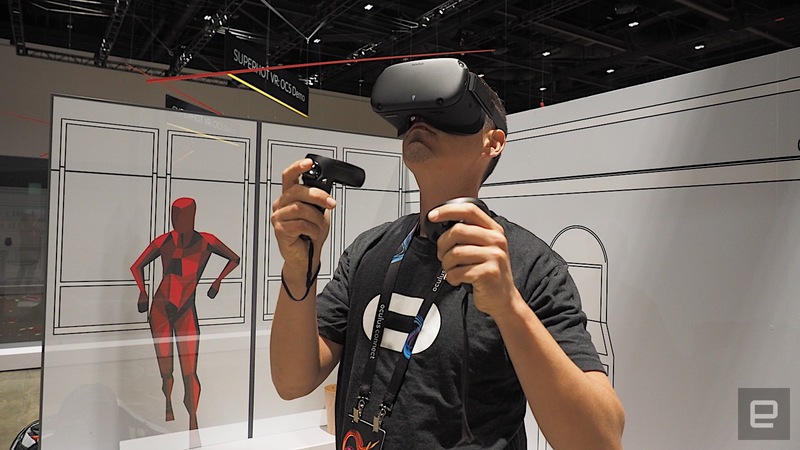 He thinks that Oculus hasn’t made comfort a “top-line priority” in the past, and that’s changing with future headsets. Another possible new feature of future Go headsets is the ability to use your phone as a “surrogate controller” or joypad, just in case you left your controller at home. He did acknowledge that Quest doesn’t quite offer a Rift-equivalent experience, since it can’t harness the power of a full-sized GPU and PC. Developers would still need to sacrifice and optimize quite a bit in order to transition their games to the Quest. He compares the Quest with the PS3 and the Xbox 360, with similar GPU and CPU capabilities. Carmack is still pretty optimistic about the Quest being a game-changer. In fact, at one point during the keynote, he said that the Quest would wind up competing against the Nintendo Switch. He said that it’s possible that consumers will think of the Quest as a mobile gaming device similar to the Switch, and the two are also closer to each other in terms of power consumption. Of course, the Nintendo Switch is in quite a different class from the Quest, and is also one of the most successful consoles of all time. We’ll have to wait until next year to see if the same can be said for the Quest.